As part of the annual Rotary Celebrates, the Rotary Club of Hamilton presents two Paul Harris Fellowship Awards. The award recipients of a Paul Harris Fellowship Award sets an example for many by their contributions to our community. Their personal involvement makes the community a better place in which to live. 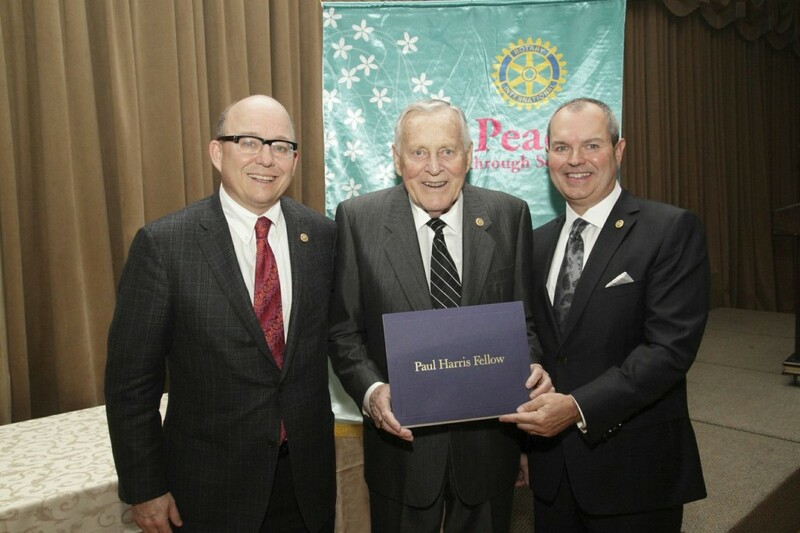 The Paul Harris Fellowship Award is named for Paul Harris, who founded Rotary more than 112 years ago. The Paul Harris Fellowship Award is one of the highest honours Rotary can bestow upon a person. Recipients are Rotarians and community professionals, in recognition of their outstanding contributions, exemplifying the highest ideal in Rotary in placing “SERVICE ABOVE SELF.” This honour accompanies a donation of $1,000 (US), in the recipient’s name, to Rotary International’s “Annual Program Fund,” which supports Rotary’s world-wide programs. Many other notable figures have been named as Paul Harris Fellows, including U.S. President Jimmy Carter, Russian President Boris Yeltsin, U.S. astronaut James Lovell, UN Secretary-General Javier Perez de Cuellar, and Jonas Salk. Locally, the Rotary Club of Hamilton has recognized local community volunteers like Rob Blunsdon a teacher who offers a free summer literacy program to inner city children and to organizations such as The Hamilton Spectator for their work in poverty and health research in their Code Red Series.